A few days out, Cleveland! 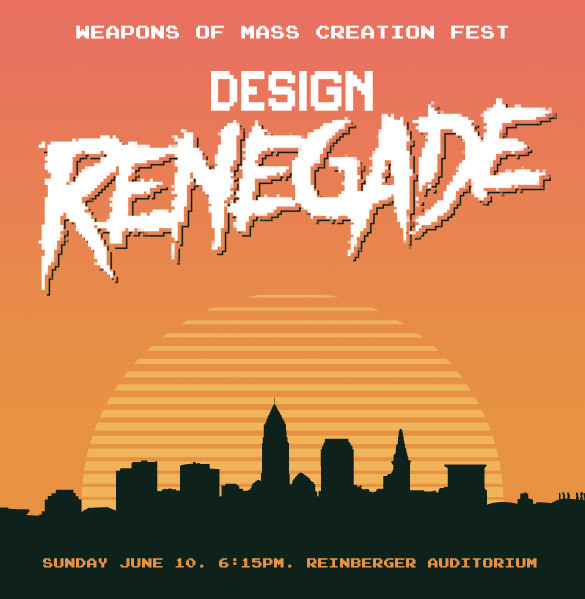 In few short days I’ll be getting on a plane destined for Cleveland, Ohio to speak at the mighty Weapons of Mass Creation Fest. Man, I can’t wait for this one, so many great speakers (intimidating line-up), colleagues and friends are piling into that venue for a kickass time. I’ve heard NOTHING but good reviews of this grassroots event and I can’t wait to get there and wreck up the joint up. Holy crap, Chuck Anderson will be there. And Dan Cassaro. And Matt Stevens. Friends I’ve never met, or wedgied. Planning on doing both. On top of actually getting onstage to do my DESIGN RENEGADE talk I’ll be packing a bunch of posters, stickers and other things to offer up at my merchtable following the presentation. Lots of stuff, be sure to check it out. Rare goodies in there. I’ll be onstage on Sunday, June 10 at 6:15pm in the Reinberger Auditorium. Sharing loads of work and stories. Possibility of lame jokes. So if you’ll be attending WMCFest in a few days, I will see you there. Let’s do this, Cleveland! Looking forward to your talk! This is my first design conference I am attending and excited to meeting some folks. Looking forward to your talk this weekend! James White is a digital artist and speaker hailing from Dartmouth, Nova Scotia, Canada. 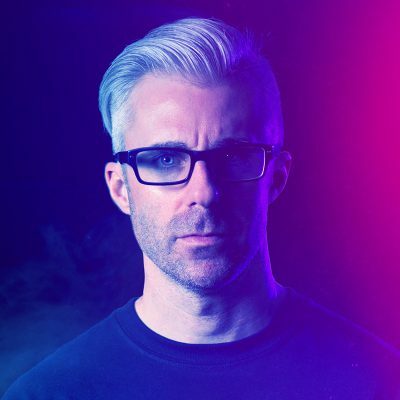 With over 20 years of experience, James has worked with many international brands and has taken the stage at design conferences across the globe. He loves hot pink, chrome text and stuff from the 1980s.